Among all the medical devices used by doctors, ultrasound has had a unique quality attached to it. It possesses a power that distinguishes it from other devices—the power to “see by sound.” It’s an interesting concept that has ultimately changed medical imaging today and will most likely power the future of imaging. In 1952 ultrasound was first used in cardiology, when physician Inge Edler and engineer C. Hellmuth Hertz conducted the first echocardiogram with a sonar machine borrowed from a shipyard that used ultrasonic pulse-echo technique to detect flaws in metals, and applied the same principle on a human heart. 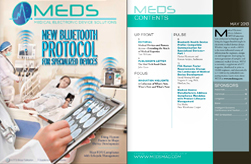 Medical device manufacturers such as Philips are capitalizing on the opportunity that ultrasound offers to innovate continually and propel the technology forward. Be it Cardiology, OB/GYN, Radiology, Neurology, or many other fields of medicine, innovative ultrasound equipment with high-tech features is being introduced by a myriad of companies to address some of today’s most pressing healthcare challenges, including cardiovascular disease. 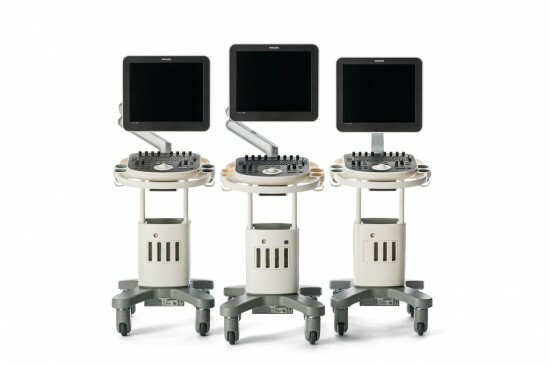 These technological advancements in ultrasound have improved resolution, field of view and overall image quality. From the heavy, barely maneuverable machines to lightweight, portable ones, ultrasound devices have come a long way. As the healthcare industry strives to provide the highest quality care while lowering cost in the healthcare ecosystem, ultrasound is seen as an increasingly important tool. Technological advancements including miniaturization and 3D imaging have made ultrasound pictures clearer and more definitive. Coupled with its relative cost (compared to other imaging modalities like CT and MR) and its portable size, ultrasound is seen as a growth product in new clinical settings. Now, the next innovation in ultrasound is upon us. “Anatomical Intelligence” is the phrase used to describe the process where an ultrasound device automatically adapts images based on an individual patient’s anatomical variation. In Cardiology, Anatomical Intelligence seeks to explore the heart more carefully by examining all four chambers and all four valves to get the most accurate and complete assessment. Clinicians may be able to determine how well a therapy is working and can make spot-on decisions that can significantly improve patient care and reduce treatment cost. This same intelligence can be adapted for other organs, such as the kidney or brain. We are traveling to a realm where smart ultrasound systems will reduce complexity, improve measurement reproducibility and increase access to care around the world. Anatomically Intelligent Ultrasound is a solution that can help address pressing challenges facing the global healthcare system as well as the challenges hindering ultrasound adoption. By automating what was a laborious procedure to get very specific measurements, exam time could be decreased and new users could readily access tools that might once have only been available to a specialist. It has been a transformational journey for ultrasound. Once a rudimentary technology that relied on the time-consuming acquisition of grainy images that could only be interpreted by experts, today’s technology can generate real-time 3D images while “smart” software can be used to provide anatomically oriented automated measurements. This journey has only begun. Anatomical Intelligence will grow and expand and find more uses, enabling doctors to “see” in new ways and transform imaging.